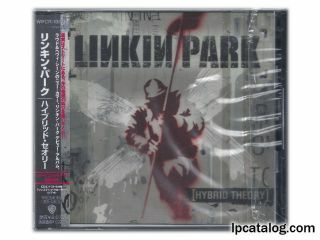 This year's Record Store Day will bring us another Linkin Park release. 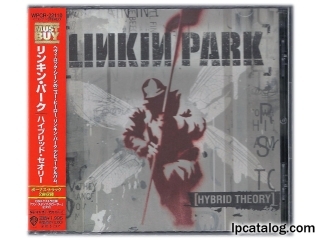 One More Light Live will come as a two 140g 12" LP set, with gold and black colored vinyls in single pocket jacket. Limited to 3,250 copies. 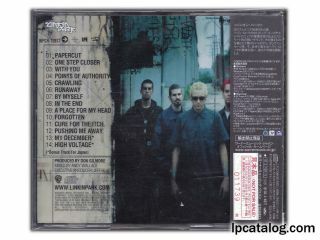 Check out our LPU16 page on LPCatalog HERE! 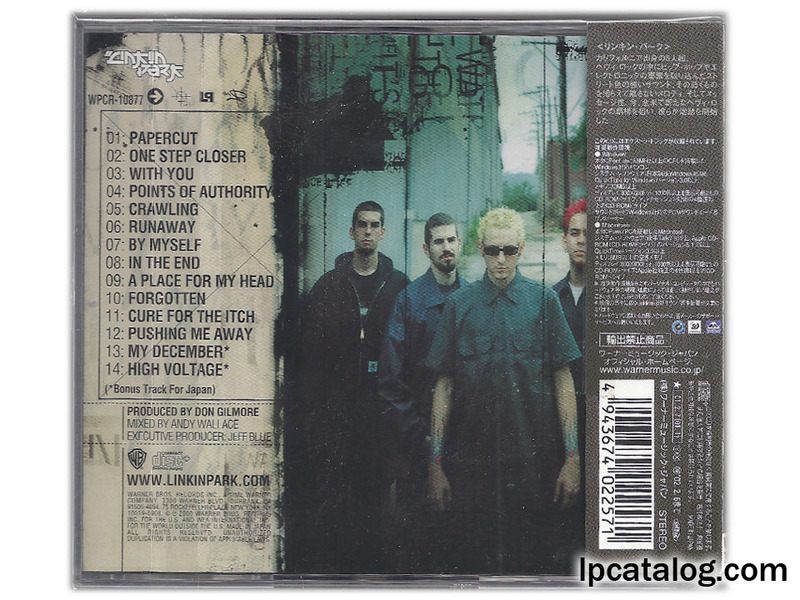 One More Light Counterfeits! WATCH OUT! The Dream Duo is working together again! JomJom and myself were the creators of the original LPCatalog (lpcatalogue.net) back in July of 2008! Today we went over the One Step Closer items and added notes to them. For those of you who have been confused about the differences between the German and U.K. singles..... Please read the simple notes and check your CD matrix's to determine which country you own. German Single VS. U.K. Single for OSC! P.S. You may need a magnifying lense to see some of these matrix numbers as they are incredibly tiny! Hello everyone, in the 10 days since the passing of my most adored vocalist, I have been going through my collection for hours upon hours. Looking back, I realize all of the great memories surrounding these prized possessions. 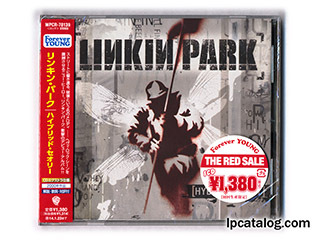 Standing in my "Linkin Park room," it dawned on me that I've been procrastinating for a year now on writing an article about Japanese releases and their associated promos. I decided that it has been far too long to have not written this up. 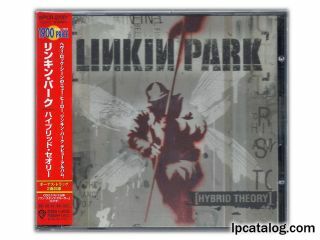 So here it is; my lore if you will on Japanese Linkin Park physical media. 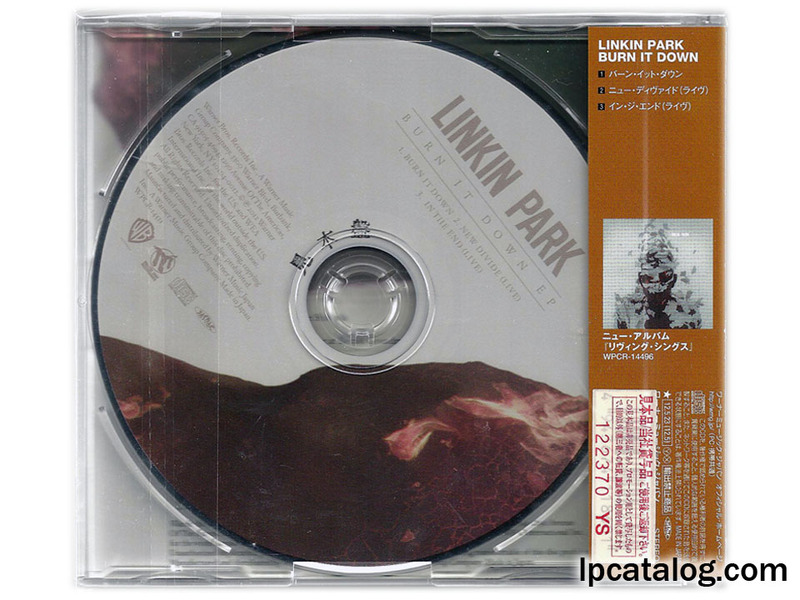 Japanese CD's have always been a standout for collector's who collect main album releases. 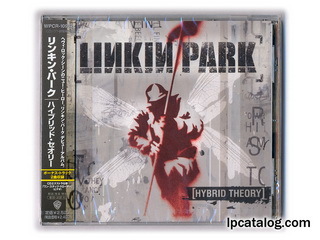 The most obvious feature is their "obi strip" which is a cardboard sleeve around the spine of the CD with multiple Japanese characters, catalog numbers, and other general information. From a visual standpoint, it is a much different representation of the physcial album. The second thing that makes them so peculiar is the extra music. 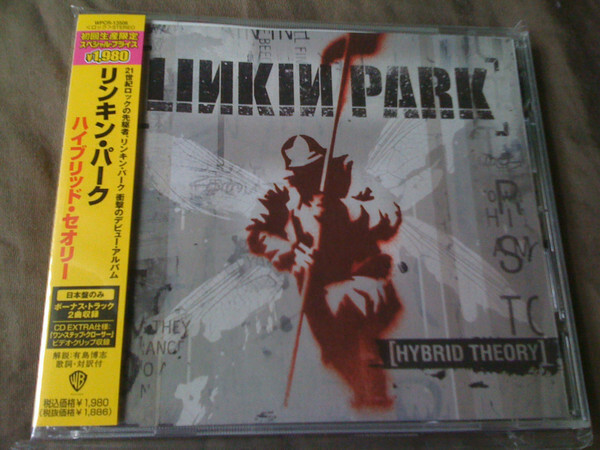 Many Japanese releases come with bonus tracks, which is the main reason they retail for more money. They are also pressed in a limited number, and then on supply and demand statistics, reissues are pressed with a completely different catalog number and obi strip. Again, this is all very relevant to world class collectors. 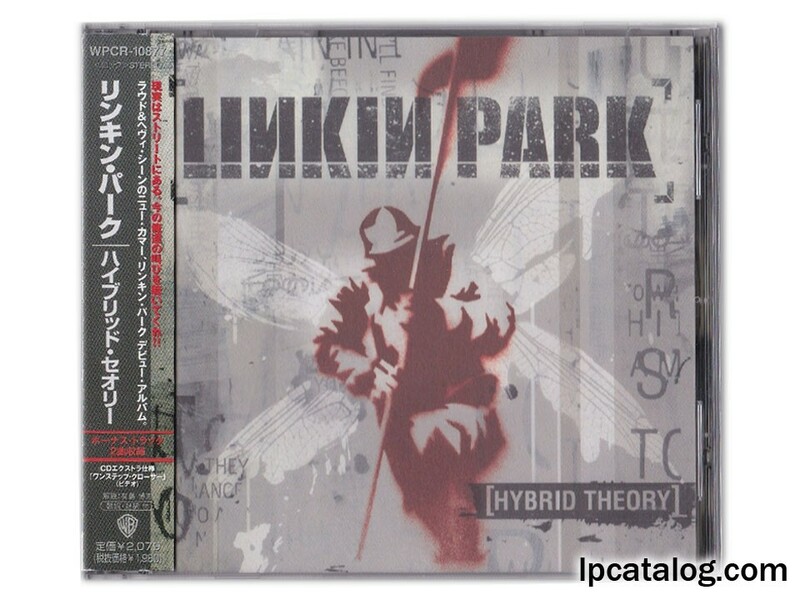 The first row of pictures above is the retail first press Japanese edition for Hybrid Theory (WPCR-10877). 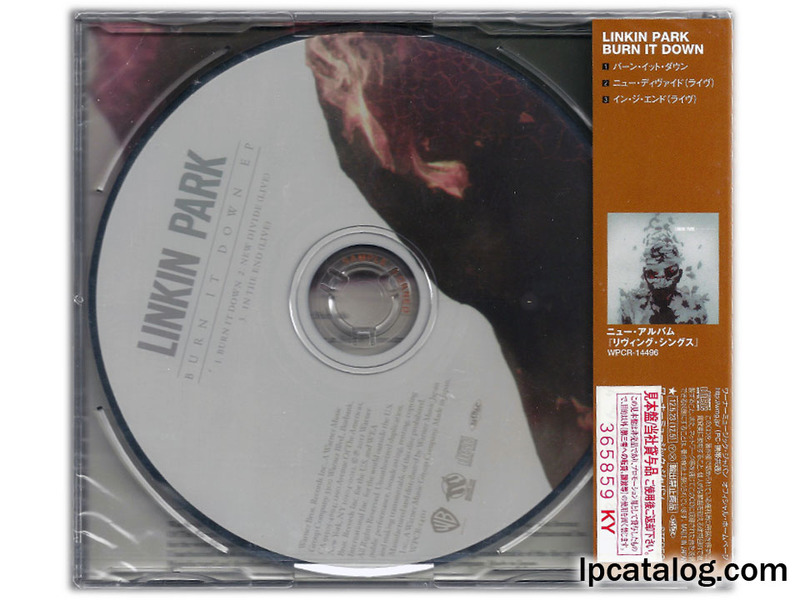 The second row is the same release, however it has a sticker on the back cover notifying it is for radio or promotional use only. 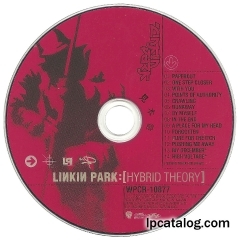 This sticker is coupled with a stamp on the matrix of the cd with the English words "SAMPLE." This is considered the English text promo. 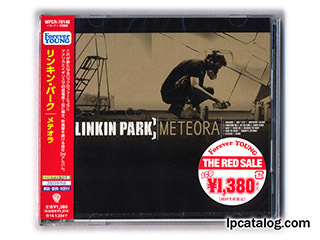 The third row is identical to the 2nd row, however the matrix just has Japanese print which translates to "NOT FOR SALE," and again signifying promotional use. 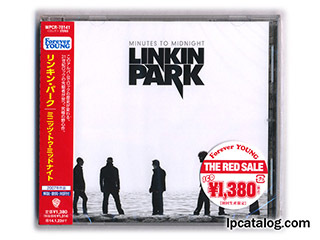 To quickly sum this up, every official Japanese retail release for an album or single has 3 versions! Lastly, the Japanese text promos can sometimes have a big sticker on the back, with the same Japanese text as the matrix which translates into "NOT FOR SALE." Here is one example from "Songs From The Underground;"
In terms of rarity, the first press retail version of any album can be quite difficult to find, especially in good shape. The English text promo is considered very rare to see on eBay and other online shops, especially for older releases. The Japanese text promo is ultra rare, and is something you may only see on eBay once or twice in a calender year for all releases combined! It is still unknown why there are 2 verisons of promo, if you know anything about this please do contact us. 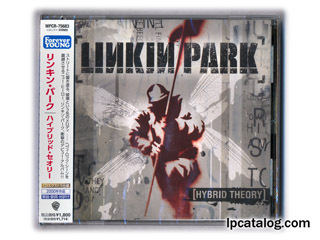 If you are still here and reading, we are up to NINE different Japanese items just for Linkin Park's debut album Hybrid Theory. An expensive hobby, but my favourite one, even moreso than hockey card collecting as a yong lad growing up in Canada! I think I will end it there. I will make another post in the future of all the items we currently have and ones we are missing (Japan reissues and promos). I should also stress that this write up was only for official retail Japan CDs and the associated promo stamps associated with them. 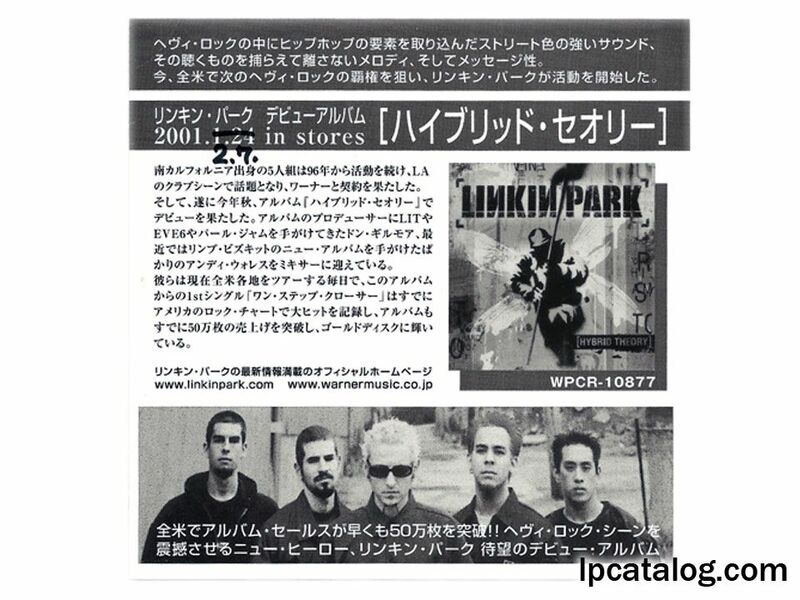 There are dozens of more Japan promos in our catalog not related to the official retail CDs themselves. 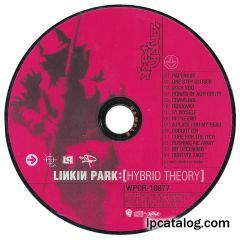 An example of this is pictured below and was my first full album promo I ever retrived back in 2003 when my journey of collecting LP stuff began. The catalog of this beauty is PCS-496. After all this time I still love reading "PROMOTION ONLY/ NOT FOR SALE." I feel like I am not supposed to own this piece of art. I look at every CD , promo or retail, as a piece of art. Just like the music itself, it will be in my heart forever, along with our dear hero who passed recently. I love you man. Rest peacefully Chaz!